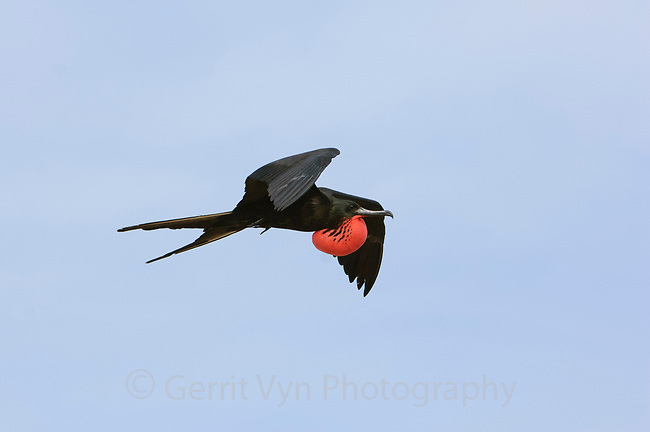 Adult male Magnificent Frigatebird (Magnificent Frigatebird) with inflated gular sac in flight. Dry Tortugas NP, Florida. March.